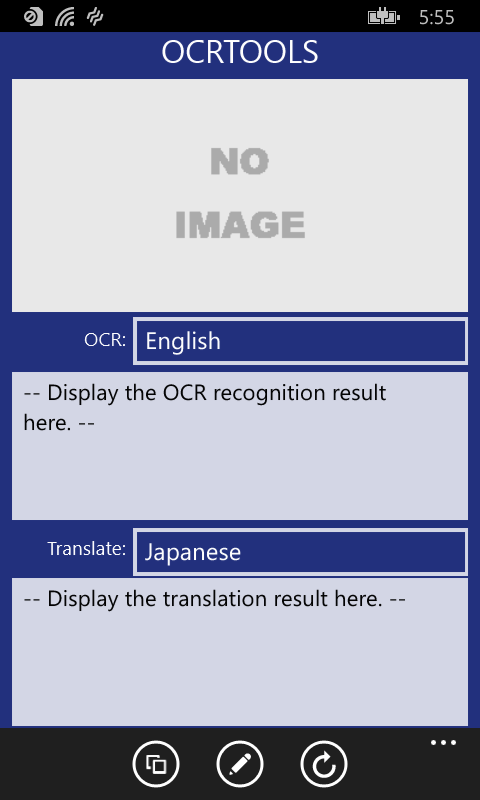 - OCRTOOLS the image files OCR (Optical Character Recognition) converts the text data. - You can translate other language from OCR result. - Recognizable / translate languages listed below. 1. 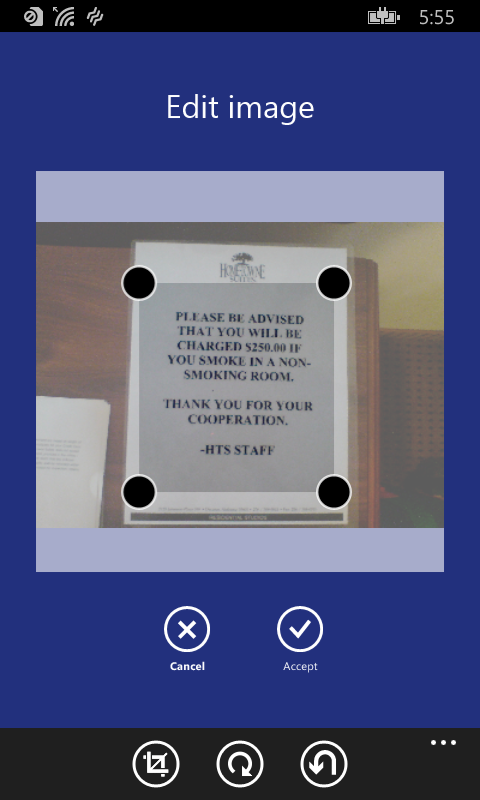 When the application is started, the following screens are displayed. 2. OCR language popup menu you can select the target OCR language. If you want the OCR results translate to specify the translation language. 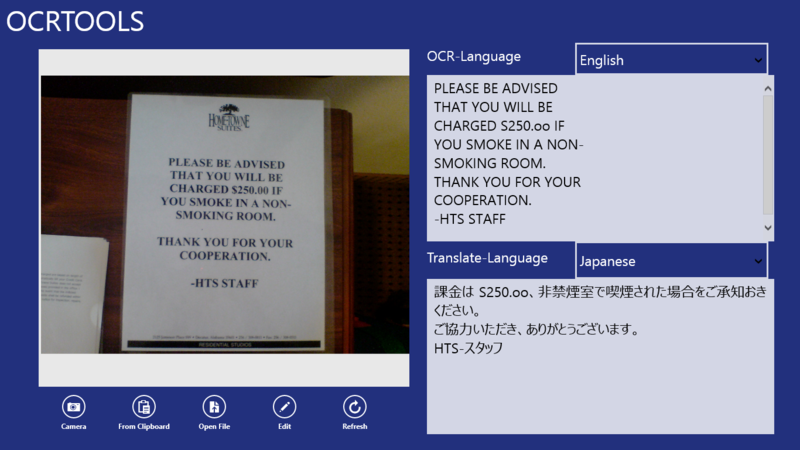 --- Use the Bing translation of a translation service. Translating Please avoid including sensitive information. 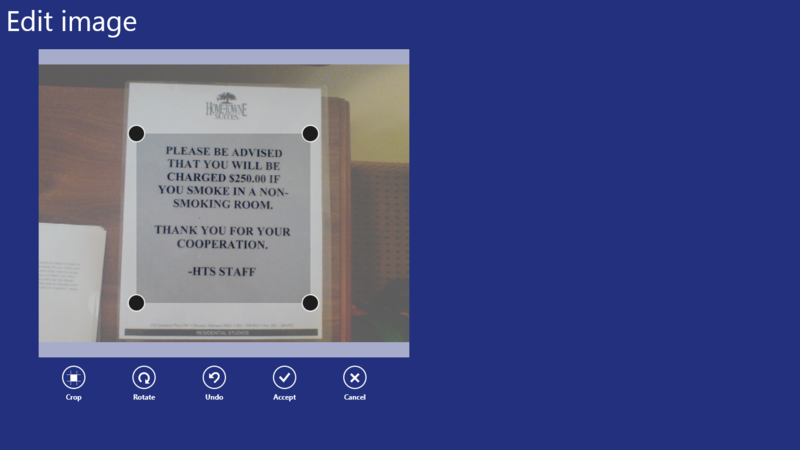 3.Click "Camera" or "Open image" button to choose image (JPEG / TIFF / PNG / BMP / PDF) . 4. Recognition results are displayed. 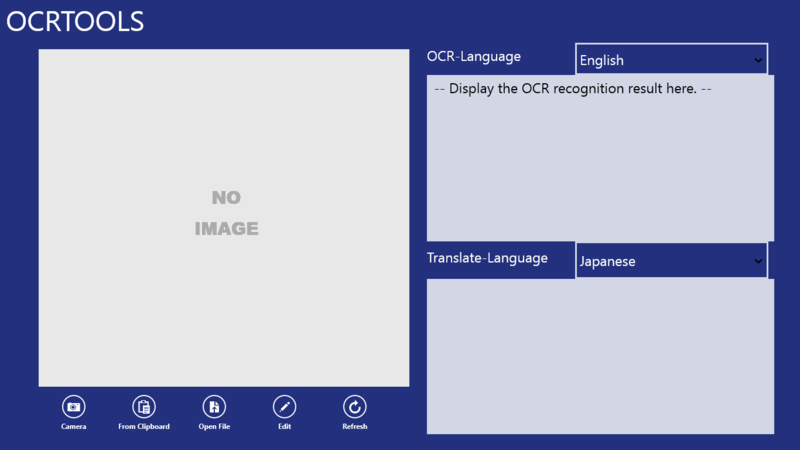 If you want to translate the results of OCR, the translation results are displayed simultaneously. 5. The Edit button provide for editting picture to trim and rotation. English, German, French, Italian, Spanish, and support more your region languages.